The Rolex Mentor and Protégé Arts Initiative pairs extraordinarily accomplished artists with emerging artists in a mentoring/protégé relationship. There are six disciplines in this program: Art, Theatre, Music, Writing, Film and Dance. In 2003, I was invited by Rolex to submit an application for this prestigious program. 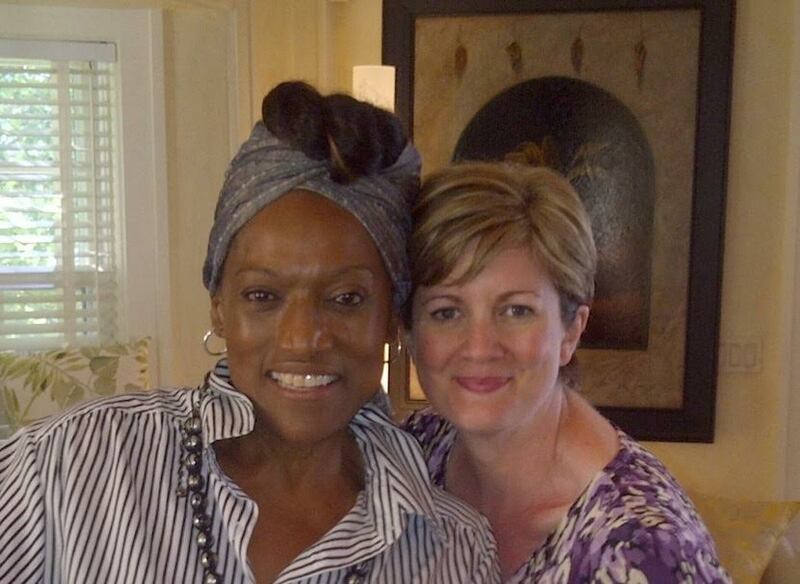 The mentor for the upcoming cycle was to be Jessye Norman. There were about 25 singers from around the world who had been invited to apply. In January of 2004, I found out that I was one of four finalists chosen to go to NYC in order to meet and sing for Ms. Norman, and that she would make the final decision. To my great delight, she chose me to be her protégé for a year. My official year with Jessye took me to many different places. Our first meeting was in Bilbao, Spain, where we met to discuss our work strategy. Our first work session was in upstate New York at her home. Our sessions together would typically last 3 or 4 hours. During this time we would do hands on work vocally and then have a tea and chat break before getting back to the singing. Our sessions together were very intensive. We covered a lot of repertoire including Lieder of Mahler, Strauss, and Brahms, as well as Dominick Argento’s stunning song cycle Casa Guidi and Ravel’s Shéhérazade. Jessye is not only a master of her beautiful instrument but as we all know, her language, diction and interpretation skills are stunning. While working with her technically, she has taken my voice and, as I like to say, allowed it to bloom. She guided me in such a way that my voice was able to really open up, become one voice and cut through an orchestra’s sound without ever feeling that I needed to push my voice – which is never a good thing! On the interpretive and diction side of our work, well, it was incredibly moving. We would often sit and talk about the poetry, the emotions involved, and the intricacies of the language, all the time finding a deeper meaning. It is now 2012 and Jessye and I have remained good friends and I still continue to work with her. She has given me a deeper understanding of music and life. It was, and still is, truly inspiring to work with her. I believe that mentoring of this nature allows one to learn things that otherwise could never be learned. She has been there, done it, still does it and feels it one hundred percent. When she performs, there is no denying a most incredible presence of voice, commitment and understanding. This past April, Jessye received a lifetime achievement award in Philadelphia and she asked me if I would perform a small recital as part of the ceremony honoring her. Needless to say I said yes and I myself felt honored to have been asked to do such a thing! She said to me to choose music that I loved and she would love it too. My program included music of Richard Strauss, Gustav Mahler, Ralph Vaughan Williams, Roger Quilter, Leonard Bernstein and Cole Porter. Jessye was sitting about eight feet away from me. She had a smile on her face the whole time, she swayed her body very discreetly, delighting in the music and she even mouthed the words a few times, as if she herself were singing. After the final piano chord of the last song, she was the first to clap, followed by her standing and gracefully shouting “brava.” I felt like I had shared with her and the others in the room the fruits of my learning from a great master. The time I have spent with Jessye over the years has been invaluable. Even though I now know her very well, I am still bowled over by her talent, kindness and grace each time I meet her. Whether it is for a coaching, a concert or a cup of tea, she is a truly amazing human being. What she has given to me will be with me forever and whenever I have the opportunity to pass along or share what I have learned from her, I do. May the tradition of mentoring continue! Susan Platts performs recitals and Concerts the world over. Her website can be found here.